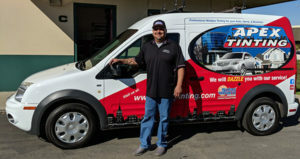 Residential window tinting has many benefits to those with homes in the beautiful region of Santa Ynez, California. We have extraordinary weather, which is the envy of many, as the sun shines for us most days of the year! We love all our sunshine, but it can also have damaging effects on us and our homes. Window Tinting provides the perfect solution: it keeps unwanted heat, glare and harmful UV rays out, and lets the desired natural light in without blocking views! Keeping the heat out means reducing energy bills and less wear and tear on your A/C unit too! Even when it is nice and mild outside, the sunlight gets trapped inside, raising the temperature to uncomfortable levels and creating annoying glare that makes viewing our TV’s and computer screens difficult, especially in certain areas or times of day. Often people will use curtains or blinds to attempt to keep the heat out, but those only provide a minimal amount of protection as the sunlight still enters through the glass and gets trapped inside. Not to mention who wants to block out those beautiful Santa Ynez views! With the proper window tinting installed, the heat is kept outside and the glare is reduced, all while keeping your views, which creates a more peaceful and comfortable environment. The sun’s powerful rays cause fading of furniture, wood flooring, carpets, draperies, and many other household items. Replacement can be costly, and sun damage can decrease the value of your home. Even our own skin can be affected by damaging UV rays that pass right through unprotected glass windows! We all know that the radiation from the sun causes aging effects on our skin and can lead to health issues, including melanoma. Most of us are now vigilant about applying sunscreen and protecting ourselves from direct sunlight when we go outside, but not many of us realize that those same UV rays reach us even while indoors, coming right through unprotected glass windows! Apex residential tinting for your home windows will reduce UV rays by up to 99% keeping you safer and helping your belongings last longer. Apex can also help with Home Security. Our security films help the glass fragments stay together when a window breaks, keeping it away from the people in the room. A nursery or child’s room is an ideal location for this. We carry a full line of security films ranging in thickness from 4 mil. to 15 mil. to help give you peace of mind. Of course nothing can entirely prevent a determined individual from breaking into a home, but with security film installed, they will have a more difficult time breaking the glass and getting through it. Delaying a would-be intruder provides valuable time for help to arrive. Like the benefits, but think window tinting will make your home too dark? You may think “I’d like to protect myself and my home from the sun’s damaging rays, but I really like my home bright and cheery, I’m afraid it will be too dark if I get window tinting film installed” This is a common misconception about home window tinting. In fact, it does not need to be dark to be effective! Advancements in technology allow us to install window film that achieves a healthy balance of natural light without sacrificing the protection you desire. We have products that will cut out little to none of your visible light and still reduce UV rays! Maybe you have a window that faces an unappealing view? Or you would like more privacy without blocking the natural light? Apex Tinting also specializes in decorative film for your home windows. We have opaque, frosted and one-way films to choose from for these situations. 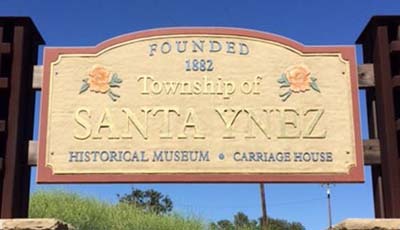 Let’s talk more about the residential tinting options for your Santa Ynez home or office!